An amazing event took place in Indonesia last week. 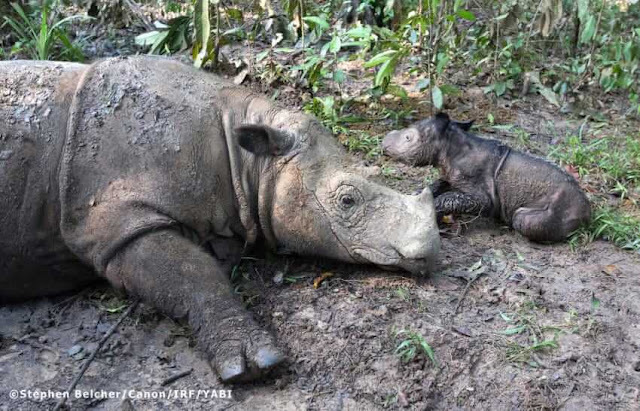 The International Rhino Foundation made an announcement that one of their Sumatran rhinos, a female named Ratu, just gave birth to a female rhino calf. Think that doesn’t necessarily qualify as “amazing”? 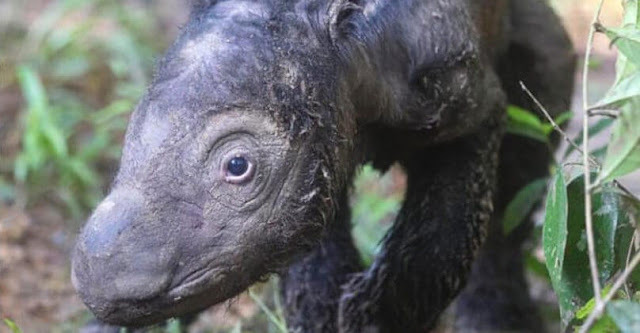 Well, think about this: That’s the second Sumatran rhino to be born in Indonesia in over one hundred twenty-eight years. 128 YEARS! 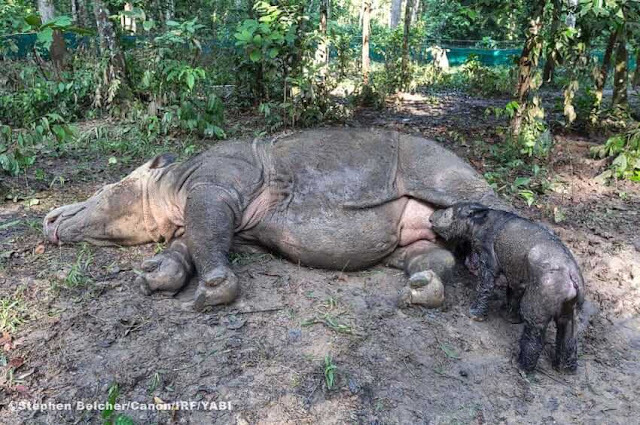 Incidentally the first rhino born that broke this century long spell also came from Ratu. Her son was born in 2012 and was named Andatu. 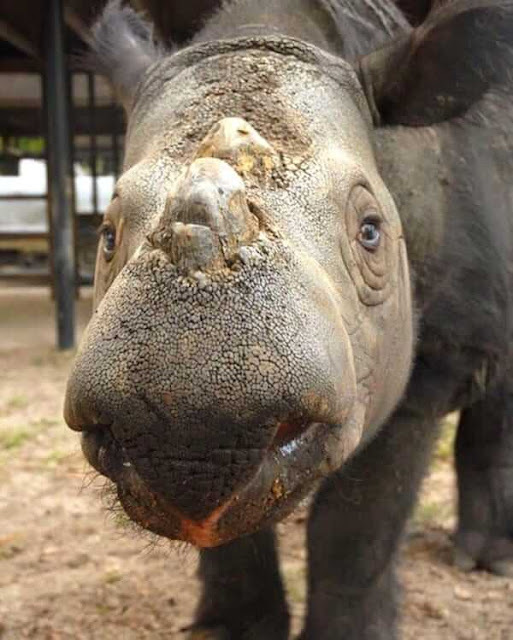 Sumatran rhinos are the single most endangered mammal on the planet. They now only exist in Indonesia, and their population is so small that Ratu’s baby girl counts as a one percent increase in the Sumatran population. These rhinos are usually solitary and live very spread out. That fact, paired with rampant poaching and habitat destruction have caused the Sumatran population to decline rapidly. 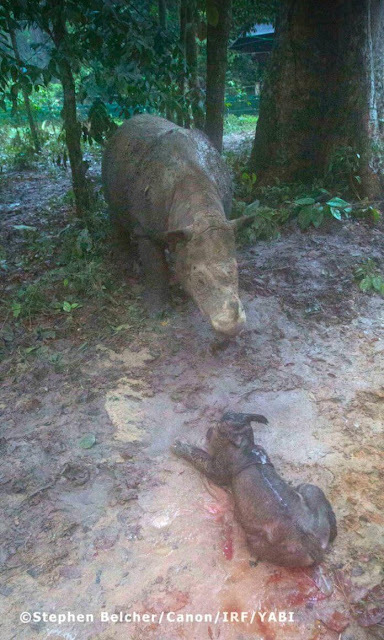 The International Rhino Foundation works to support Rhino Protection Units in national parks. Members of those units spend 15 days out of every month patrolling the parks, checking on the rhinos, and deactivating snares that can harm or kill the large creatures. 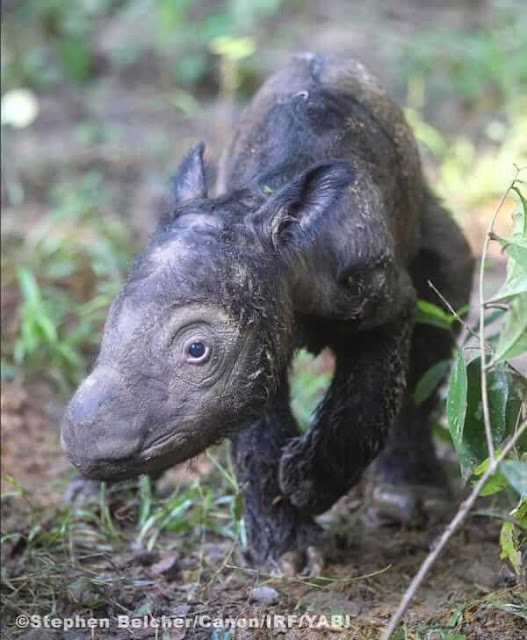 Everyone working at the Foundation is incredibly excited about the newest member of the Sumatran species. They all acknowledge that she won’t be able to save the Sumatran species, but for now she’s one extra member, and that’s enough. Plus, she’s an adorable baby animal! Who knew that baby rhinos were so cute? Everyone is excited to see what life brings to this baby girl.